Marty Seidlin brings his experience as the head basketball coach of the Cardinal Gibbons High School Team to his illustrious summer basketball camps. We train a wide range of ages and children, including youth basketball & basketball traveling team skill level from ages 5-15. Their level of experience does not matter! Our coaching staff, players, and staff bring technical experience in youth basketball training that is unmatched by any other Ssouth Florida basketball camp. The Broward Sports Camp locations are still conveniently located for West Palm Beach Basketball players, as well as Miami Dade County Basketball Players. Simply put, Coach Marty’s Camp offers the best youth basketball training for both boy’s basketball and girl’s basketball. Youth athletes that attend our exciting basketball camps will be exposed to basketball drills & basketball clinics that will prepare them, no matter their level or experience, to compete in competitive basketball games. 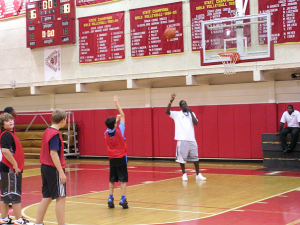 The Marty’s Camp approach to basketball training is designed to help youth basketball player develop athletically. All camps are from 9AM to 4PM Monday thru Friday. Yes, campers may be dropped off after 8 am and picked up by 5:30 pm. There is no extra charge to our campers. Lunch may be purchased for $5.00 per day or the child may bring lunch. Purchased lunches are a choice of a Wendy’s double cheeseburger, chicken nuggets or two slices of cheese pizza and include a snack and a drink. The canteen is a physical store on site selling, snacks and drinks. When you arrive at camp you will be asked if you wish to deposit any money in the canteen. Whatever amount you wish to deposit will become the amount of credit you have in the store. At the end of camp any unspent money will be returned to you in full. Games – Each camper plays two games a day! We accept cash, checks, Paypal and all major credit cards. The balance is due approximately 10 days before the start of each session. What is the coach to camper ratio? Ages 10-15 there is one coach for every 8 children and ages 5-9 we have one coach for every 4 children. 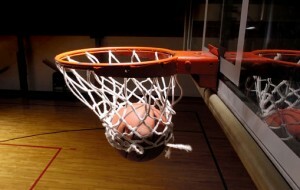 We welcome parents to come and watch at any time, especially our Friday Final Four tournament and All Sports Olympics. Children are grouped according to age and ability. May my child be grouped with a friend? Yes, we do our best to honor any special requests. Games—Each camper plays 3 full court games a day! Each child will be given one on one attention with our great coaches! Individual sessions are priced at $200. Session three in 2019 is $160 (for a four-day session). Sibling discounts available – Please call for information! If a camper has to miss a week(s) for any reason, they will be given a credit to be used for any future week(s). All sessions are Monday to Friday 9am to 4pm. Extended hours available at no extra charge.